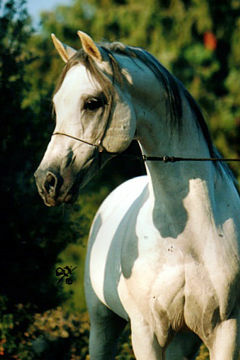 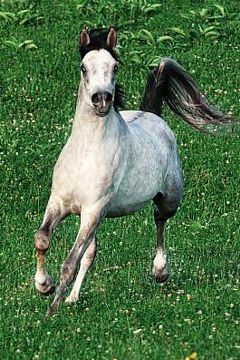 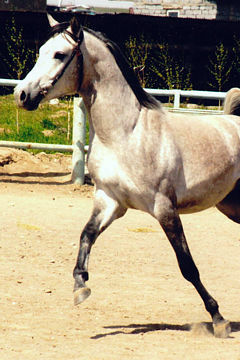 SHARIF, Grey stallion, *1997 (Magdan / Blanka). 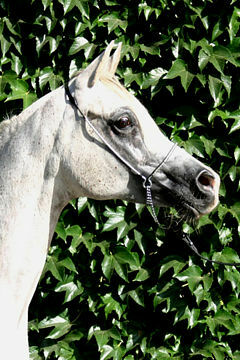 Breeder: Imre Parti. 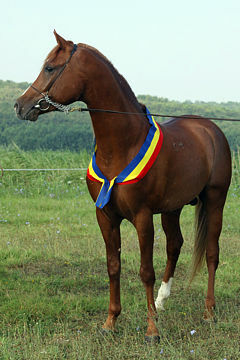 Owner: Generál-Insped Kft. 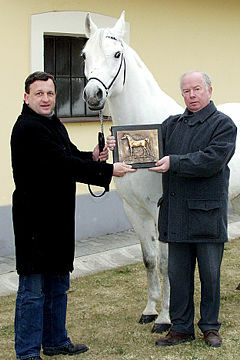 The 2006 WAHO Trophy is awarded by Society of Hungarian Arabian Horse Breeders Breeding Committee in Hungary during application. 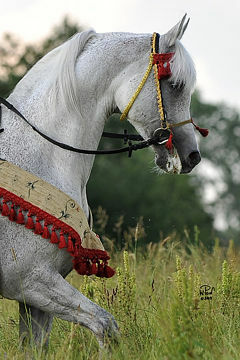 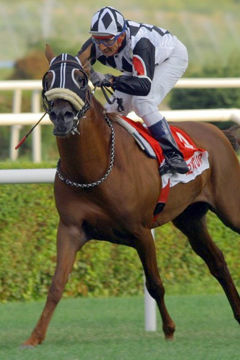 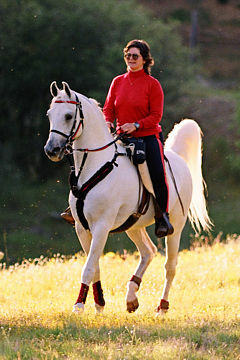 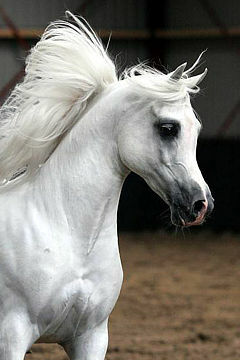 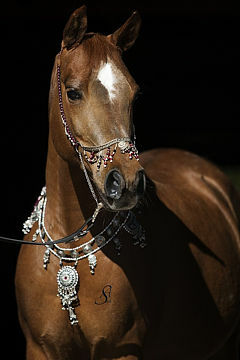 The competition can be entered only by purebred Arabian horses bred and born in Hungary, and registered by MALE. 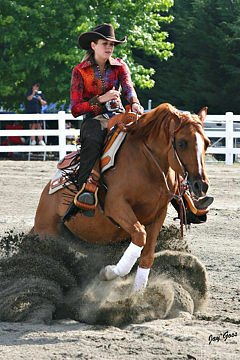 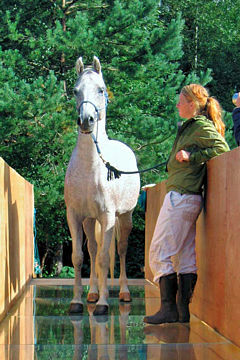 The application has to contain the result of the horse’s exterior judging (show, performance test, etc.) 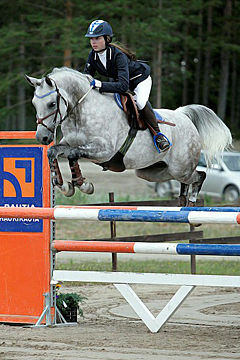 and the performance verification (sport, competition, performance test, etc.). 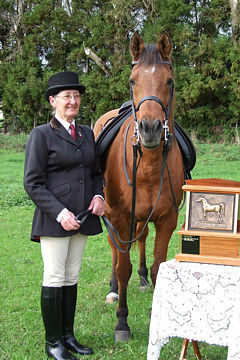 The Committee awards the Trophy regarding these results and the descendants (if there is any). 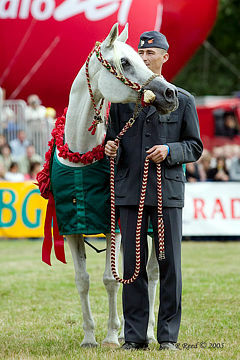 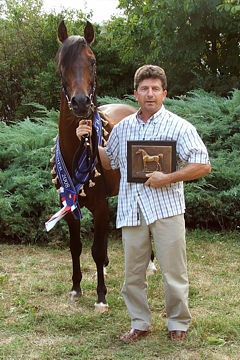 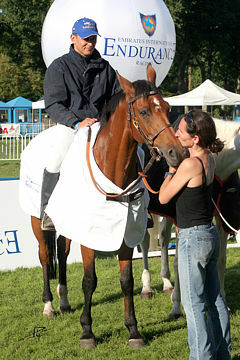 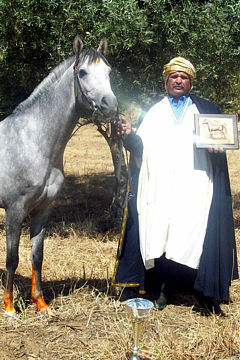 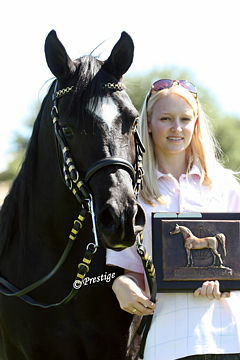 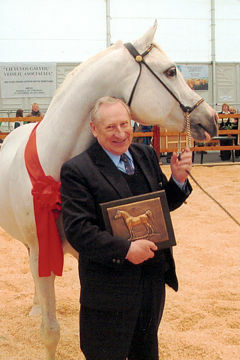 In 2006 we awarded the Trophy to grey stallion Sharif. 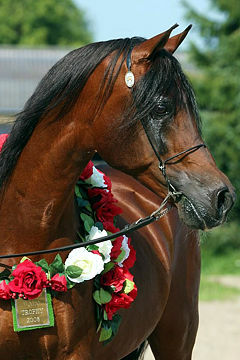 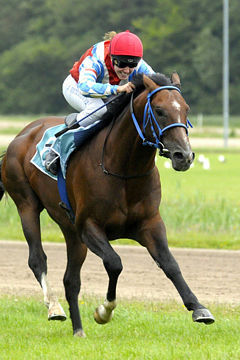 Sharif was born on 25.08.1997, his breeder is Imre Parti, his owner is Generál-Insped Kft. 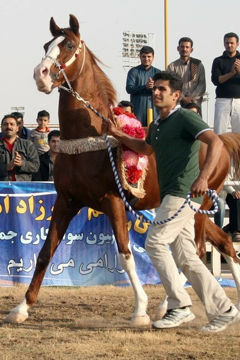 On the stallion exam in year 2006 Sharif won the 2nd place in exterior and free jumping, and the 1st place in show-jumping. 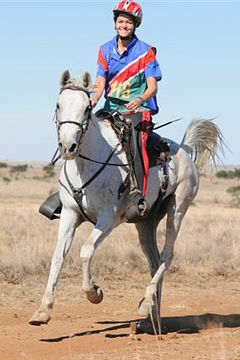 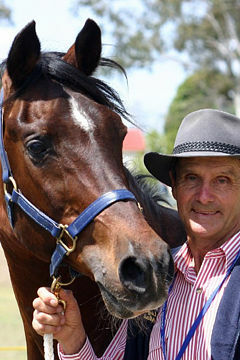 The stallion has been very successful on endurance races since 2003. 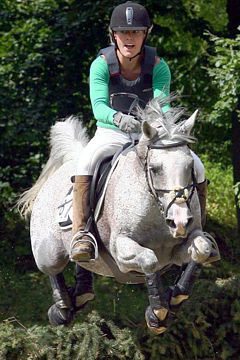 He won the 1st place in 2003 on the International CEI*** competition at Bábolna on 120 km race. 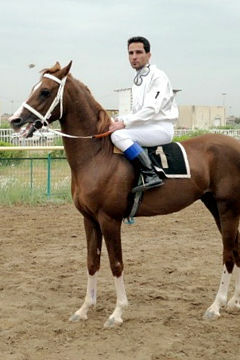 In the same year he won the 59. place in the Endurance World Championships in Bahrein on 120 km race, in group he finished the race on the 8th place. 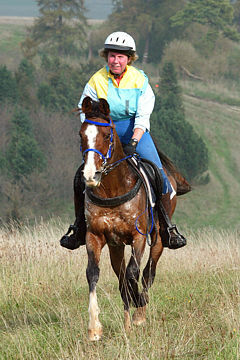 On the Hungarian National Championship he won the 2nd place on 100 km race after the end-of-the-year summarising.